More positive reviews will make your ads pull in more customers. 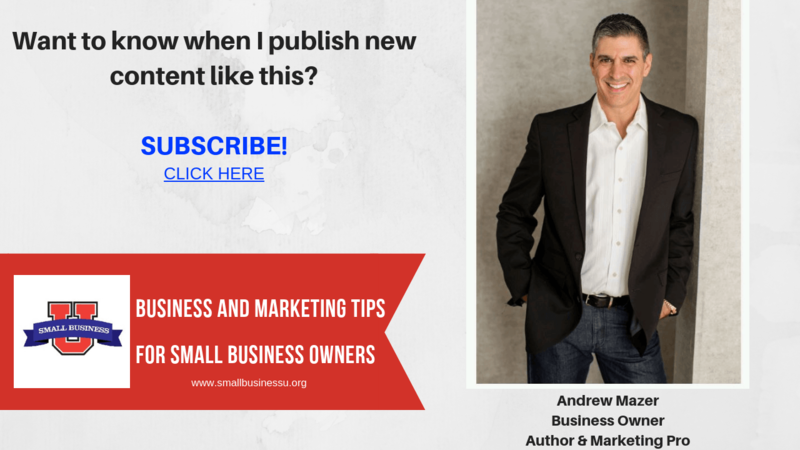 Do you advertise? Every time you spend money on advertising, many of the people who see your ad will check out your reputation. They’ll go to sites like Yelp, Google, Trip Advisor, and Facebook to find out what people are saying about you. 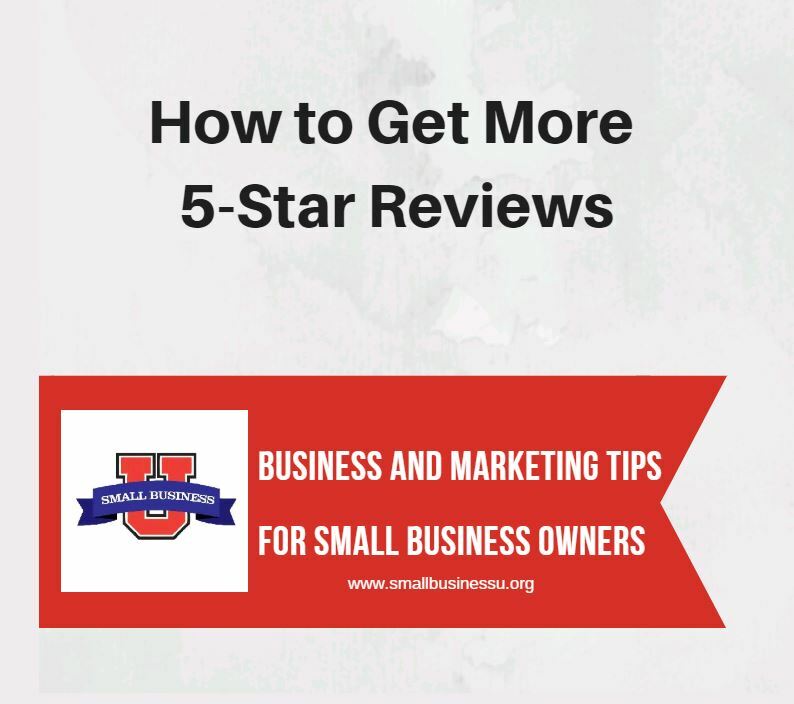 The technique recommended in this article will help you get more positive reviews while also helping you build customer loyalty. Who Are The Best Customers to Ask for a Review? The best customers to ask for a review are the ones who join your “Specials & Coupons” email newsletter. 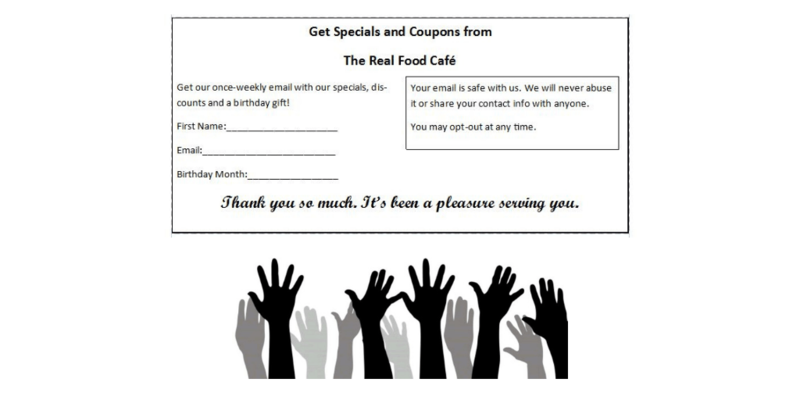 How do you get people to sign up for your “Specials and Coupons” newsletter? If they fill out the card, it’s because they’ve had a satisfactory experience. If this is the case, then they’re a good candidate to leave a positive review. Dear Mr. Smith, thank you for signing up for our “Specials & Coupons” Newsletter. There’s a coupon waiting for you at the bottom of this message! We’re looking forward to serving you again soon. Mr. Smith, as a family-owned restaurant, it’s especially important to have a good reputation on the internet. Every 5-Star review we get on Google, Yelp, Trip Advisor, and Facebook can meaningfully help potential customers find out about our restaurant. If you would spare 5 minutes to leave us a positive review on any of these websites, it would be a huge favor to us. We’ve made it very easy. Eliminating negative reviews from the sites listed here ranges from difficult to impossible. The best remedy for bad reviews is 10 times more great reviews. More great reviews will raise your average review rating. They will also bury negative reviews. Equally important is, lots of great reviews will generally push you up in the search results so people will find your restaurant online even if they don’t already know you exist.